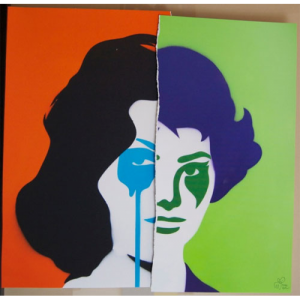 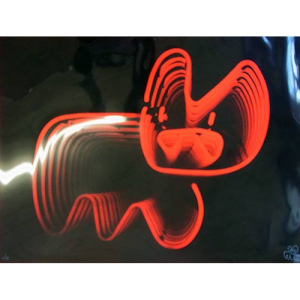 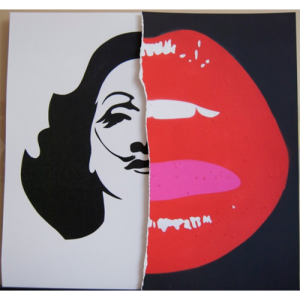 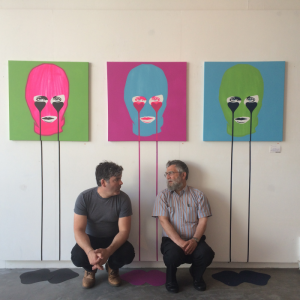 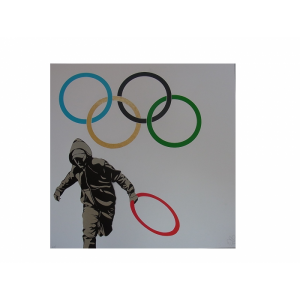 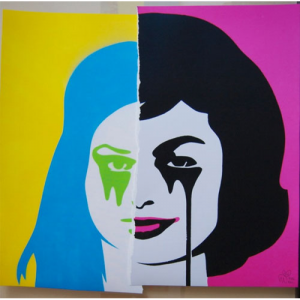 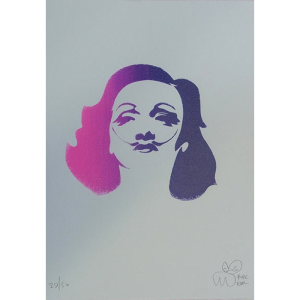 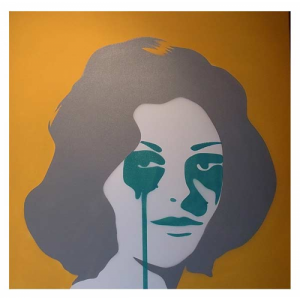 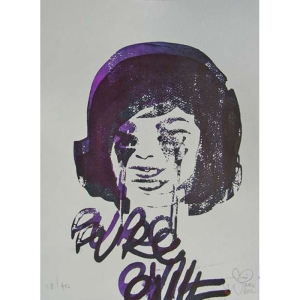 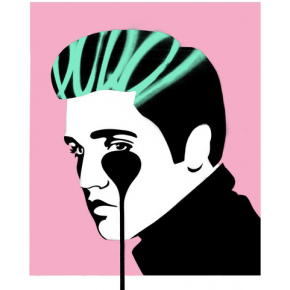 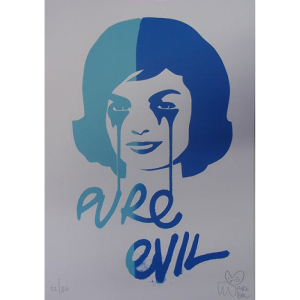 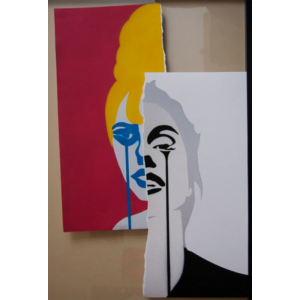 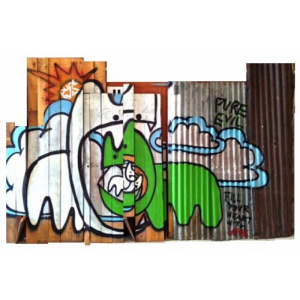 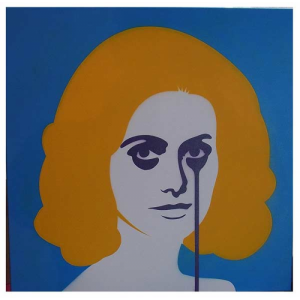 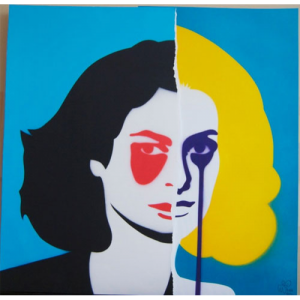 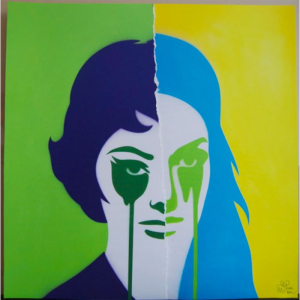 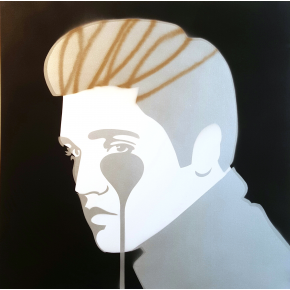 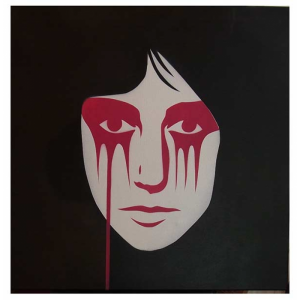 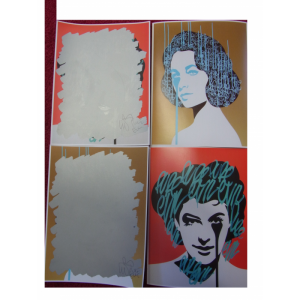 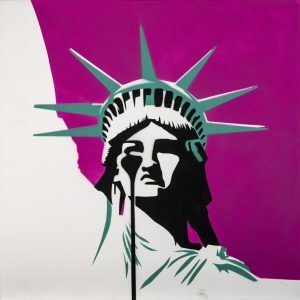 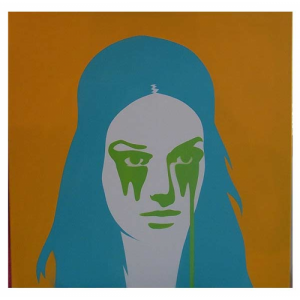 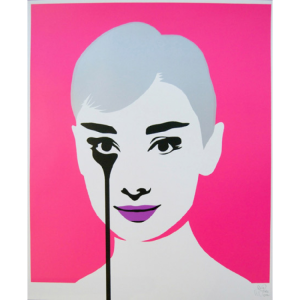 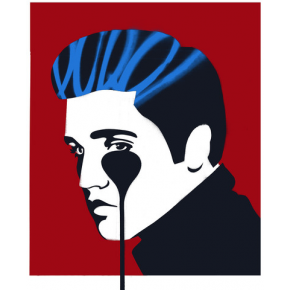 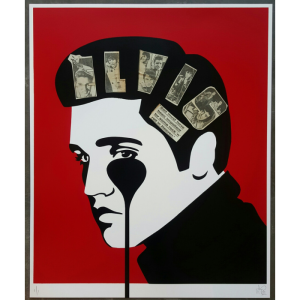 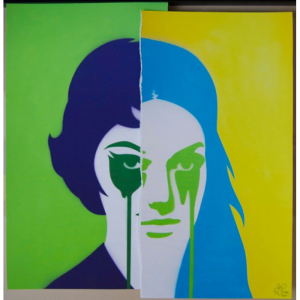 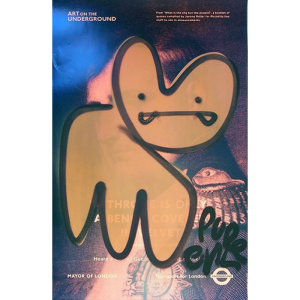 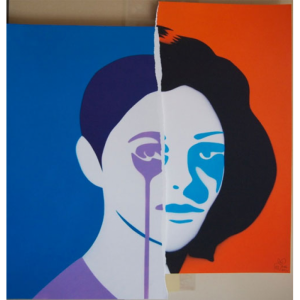 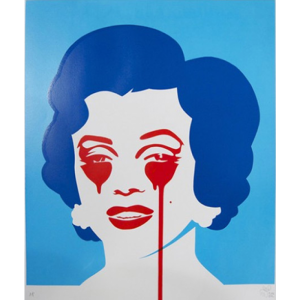 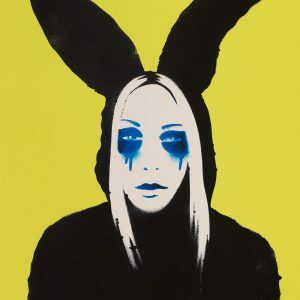 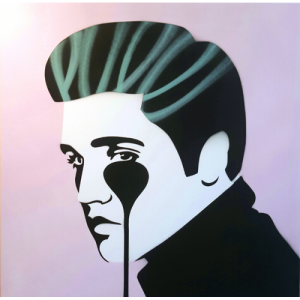 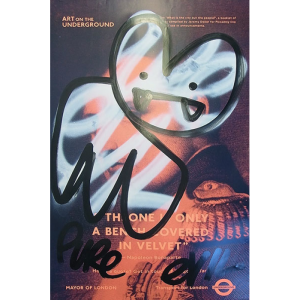 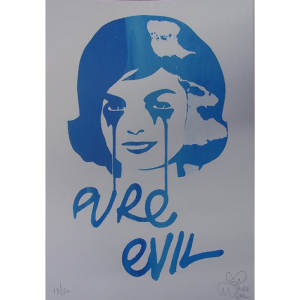 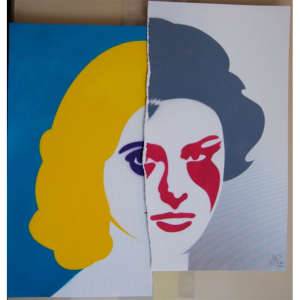 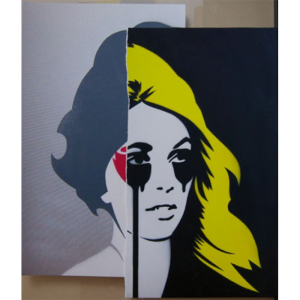 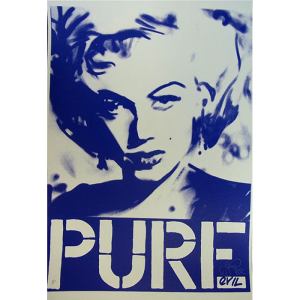 Brandler Galleries has in its possession a number of pieces created by street artist Pure Evil. 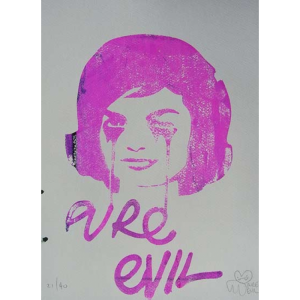 Born in South Wales, real name Charles Uzzell-Edwards originally studied in London though relocated to San Francisco in the early 1990s, partly for political reasons (which has become a theme of Pure Evil’s work). 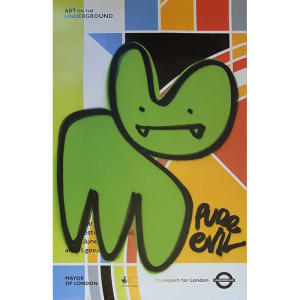 While stateside Uzzell-Edwards became inspired by street art and the Californian skating culture, while the West Coast character graffiti of Twist had a strong influence on the work of Pure Evil. 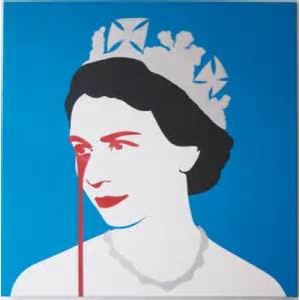 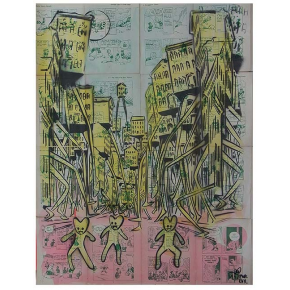 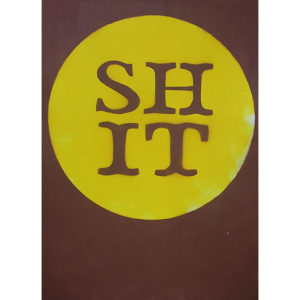 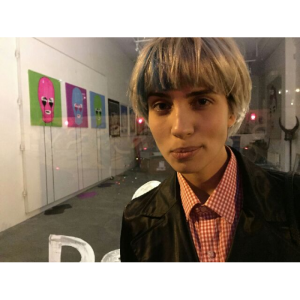 Following his time in San Francisco, the artist returned to London stating, ‘It’s a dirty place, but it’s the dirt that helps things grow.’ Subsequently there is currently a Pure Evil Gallery in Shoreditch, London. 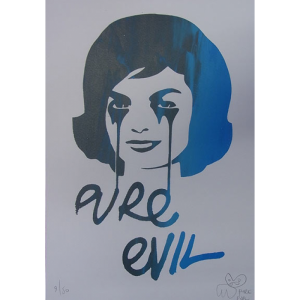 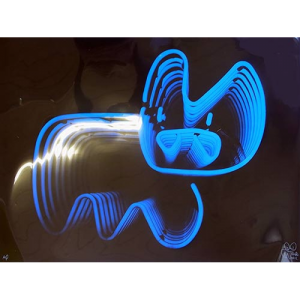 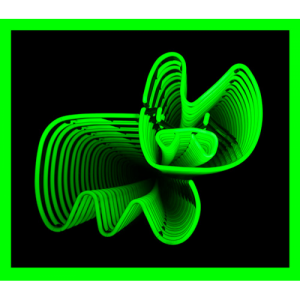 The style of Pure Evil is certainly distinctive, leading to the growth of his brand worldwide. 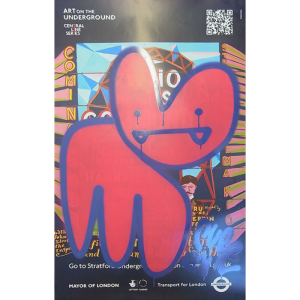 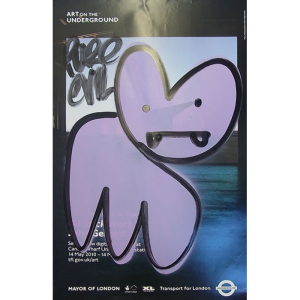 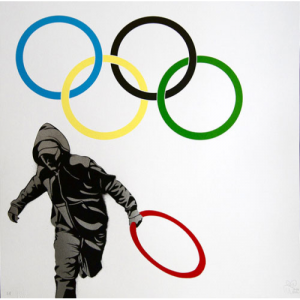 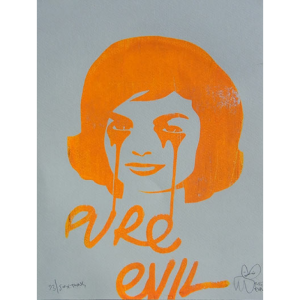 Using primarily graffiti and stencil, the work of Pure Evil is often bright and colourful, while including satirical and political overtones that mock popular culture. 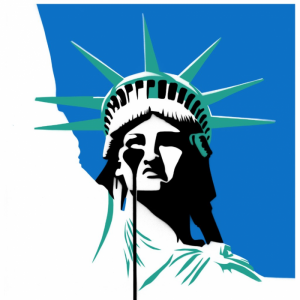 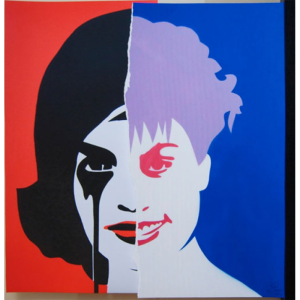 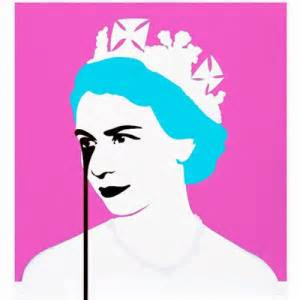 ‘Prince Philip’s Nightmare,’ 2014, and ‘America’s Nightmare,’ 2016, for example, consist of Warhol-esque colourful portraits of the Queen and the Statue of Liberty, both of whom appear to be crying. 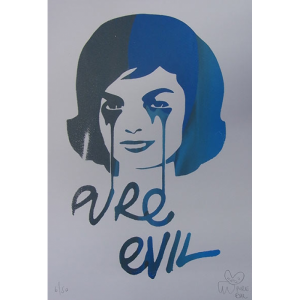 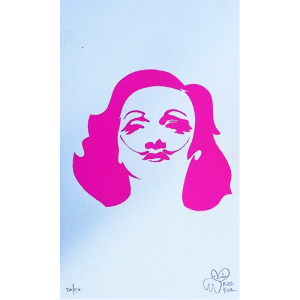 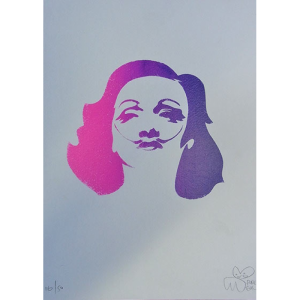 The colour, inclusion of a famous, recognisable face, and the tears are typical of the work of Pure Evil. 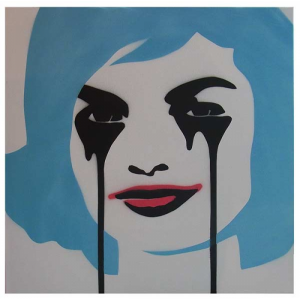 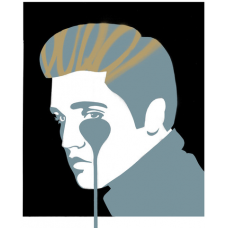 According to the artist, the tears are ‘an illustration of the heartbreak and sadness we have all experienced in relationships in the past’ (pureevilgallery.virb.com). 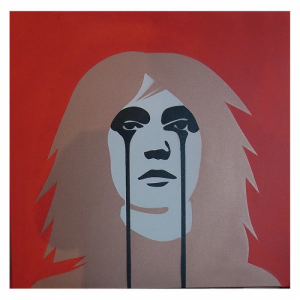 Similarly, ‘Bastards,’ 2009, consists of a modified version of The Beatles famed 1967 Album cover of ‘Sgt. 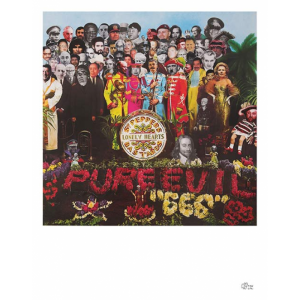 Pepper’s Lonely Hearts Club Band.’ Yet on ‘Bastards,’ Pure Evil has replaced the faces of popular famous individuals with the faces of the World’s Most Wanted, including Margaret Thatcher, Joseph Stalin, and Robert Mugabe. 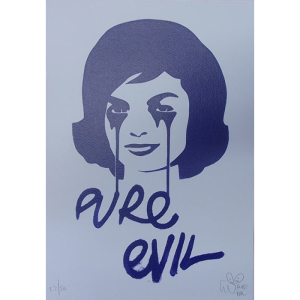 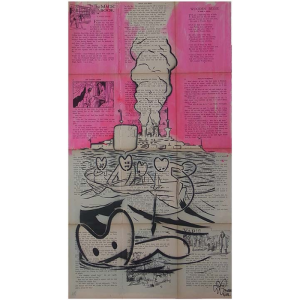 This kind of work is synonymous with Pure Evil’s political theme throughout his work, affirming his belief of ‘Principles before Profit.’ Likewise, Uzzell-Edwards often leaves pieces of his art on the street for one of his devout followers to find.